To address a shortage of rural vets, Texas Tech plans to build a new vet school, which would be the second in the state. But A&M said doing so would detract state resources without solving anything. CANYON — Veterinarian Gregg Veneklasen loves what he calls “this part of the world.” He loves the natural beauty of the Palo Duro Canyon, the second-largest canyon in the country, only minutes from his home. He loves the peaceful vistas stretching across heartland plains. He loves the temperate weather, the friendly people and the animals he works with in his horse clinic near downtown. But few young people want to move to rural areas like Canyon to practice veterinary medicine, and Veneklasen can’t blame them. Rural areas around the state are facing shortages of veterinarians as fewer young graduates want to practice away from urban amenities. In places like the Texas Panhandle — an agricultural focal point for the country — not having enough vets can pose serious consequences to livestock and food production. Texas livestock include over 1 million hogs, nearly a million sheep and over 12 million cattle. In 2016, there were only about 180 vets working on livestock in rural Texas areas. Texas Tech University hopes to remedy that problem by opening its own veterinary school in Amarillo in the middle of the Panhandle. It would be the second veterinary school in the state. But Texas A&M University, which operates the only veterinary school in Texas, in College Station, and already sends veterinary students to study minutes away from where Tech hopes to build its new program, is less than enthused. Tech announced its desire to build a vet school in 2015, expecting to open in 2019, but the idea of a Tech vet school goes back to the 1970s. The plans got off to a sputtering start: the university shelved its proposals to prioritize medical school expansion. Tech announced it was pausing the latest plan in late 2016, but was granted $4.1 million from the Legislature in 2017 to restart the initiative. If all goes according to plan, the first class of Tech vet school students will begin in fall 2021. A&M, whose program is ranked among the best in the world, has protested the newest proposals, saying Tech’s plans would be an inefficient use of state funds. But Tech said its program would complement A&M and fill a need that no one institution could. One of the driving tenets of Tech’s new vet school is its non-traditional education model, said Guy Loneragan, a veterinarian and Tech professor who has developed much of the curriculum for the new school. Based on a teaching model developed at the University of Calgary, Tech’s program would send students out to do residency-like learning in participating clinics across rural areas. Doing so, Loneragan said, would give students more exposure to rural practices as opposed to keeping students in a teaching hospital on campus far from the communities that are facing vet shortages. It would also spare the cost of constructing an expensive teaching hospital, he added. A&M’s vet school plans to expand its freshman class size from 132 to 162 by next fall, which would be the largest veterinary class size in the United States or Canada, according a 2017 report commissioned by Tech. The report said expanding class size more would risk the quality of education. About three-fourths of qualified vet school applicants are not admitted to A&M’s program because of class size constraints, the report said, pushing more applicants to seek education out of state. In the 1990s, close to 80 percent of Texas vet licenses were granted to A&M graduates. That percentage has steadily declined as the number of vet licenses in the state has increased exponentially. Green, the dean of A&M’s vet school, rejected the idea that the need for rural vets couldn’t be filled by a single school. West Texas A&M, located in Canyon, less than 20 miles from Amarillo, houses internships, rotations and research opportunities for A&M vet students in a rural setting. A&M also places students in residencies in rural areas while offering them the benefits of a world-class teaching hospital as well. A&M recruits students from rural communities and mentors them as undergraduates to find students who are likely to practice in rural areas. President Walter Wendler of West Texas A&M visited every high school in the Panhandle's 26 counties to recruit students during the first few months of his presidency in 2016. West Texas A&M is constructing a new agricultural center and two new veterinary research and classroom facilities on campus, further expanding opportunities for vet students in the Panhandle. Green added that A&M only accepts students it knows will excel in its program, dismissing the narrative presented in Tech’s 2017 report that A&M is not capable of meeting demand based on its admissions numbers. A&M has also built a new veterinary school facility on its College Station campus, which Green said allows the school to welcome larger classes to accommodate the demand for instruction that Loneragan said it could not, without sacrificing quality of instruction. A&M has the potential to increase vet class size by a couple hundred more, depending on need. Young vets want to move somewhere where their spouses can have job prospects and there are amenities for their children, making urban areas more appealing, Green said. Strategic recruiting of people who are already familiar with rural communities and nurturing students who demonstrate a real desire to serve in rural areas are far more effective strategies than increasing the total number of admitted vet students, she added. A 2016 report from The Texas Higher Education Coordinating Board said building a new vet school could saturate the market for urban vets without fulfilling the needs of rural communities. Loneragan said the new vet school would also recruit vets from rural areas. He cited the Tech-commissioned report, which said more than 90 percent of Texas vets are employed, and disputed the idea the school would cause a job market saturation. Taylor Powell, a veterinary intern from the small North Texas town of Henrietta, graduated in May from A&M's vet school. Powell, who is also a Tech graduate, currently works at a equine clinic in Lamesa in West Texas, where she focuses on racehorse treatment and surgery and treats dogs and cats as well as livestock. Most vet school graduates end up working in metropolitan areas treating small animals like household pets, according to the Texas Higher Education Coordinating Board report. But Powell said she was drawn to serve rural communities like the one where she grew up. "Those were the kinds of people that helped me, that encouraged me along the way to get me started," Powell said. "So my goal has always been to find a way to give back "
The Texas Higher Education Coordinating Board report recommended funding a loan forgiveness program to tackle the rural vet shortage. One of the key barriers for young vets to move to rural areas is the high loans they carry after vet school and the low financial returns offered in rural areas, said Veneklasen, the Canyon vet. Forgiving loans would cost a fraction of the $4.1 million the state appropriated to launch the Tech project and the $90 million the university has raised to construct the new vet school facilities, Green said. Loneragan said the new vet school would eventually wean off of state funding and become self-sufficient within eight years of opening. The city of Amarillo, where the new vet school is slated to be built, is also excited about the prospect of new academic activity. Reagan Hales, marketing director at the Amarillo Economic Development Corporation, cited Tech’s feasibility report, which predicted the new vet school would have an annual economic impact of $76 million — that’s new money flowing into the city from more jobs and markets created by the school. 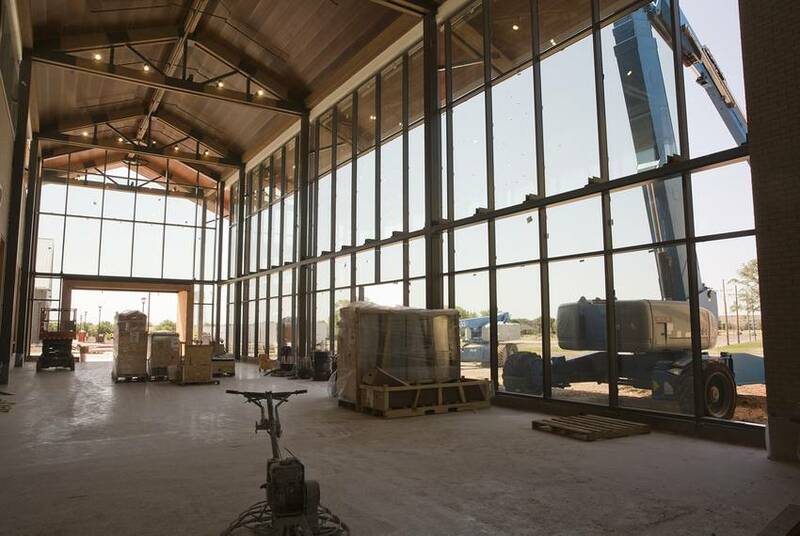 The Amarillo Economic Development Corporation, which is funded by municipal tax dollars, pledged between $15 million and $69 million to go toward construction of the new vet school. With additional private contributions, Tech secured enough money to meet its budget requirement of $90 million for the new vet school facilities. The school is also submitting a request to the Legislature for additional financing to jumpstart operating costs, but it aims to be self-sufficient within a couple years. Barry Allbrecht, president of the Amarillo Economic Development Corporation, said the corporation supports all universities and has not engaged in the debates between A&M and Tech. Veneklasen is opposed to Tech’s vet school, but he recognizes the need to keep vets in rural areas. He characterized Tech’s vet school as a misguided use of funds that could go to other uses, like public education in the Panhandle. 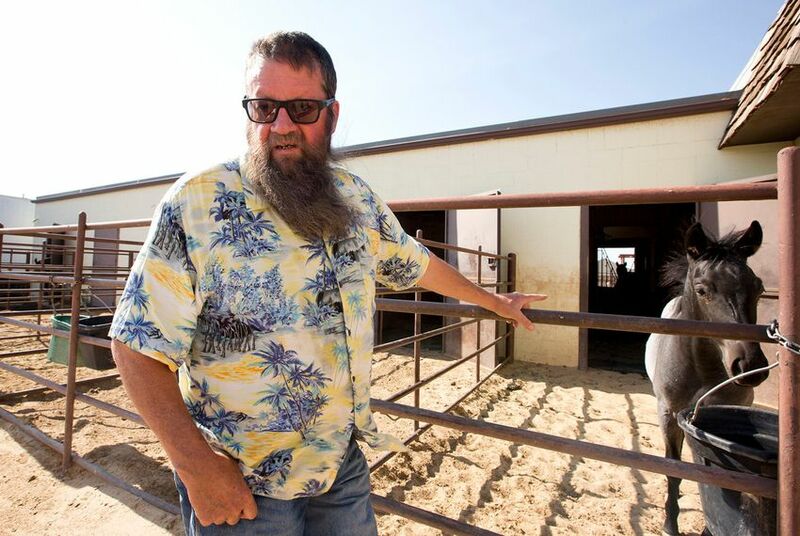 Though Veneklasen said he makes a comfortable living — he is renowned among vets for his work with equine cloning — and enjoys the rural lifestyle, he said the need to attract new talent to the area is real. He said he and many of his rural colleagues are confident that A&M can deliver on the need and that Tech’s vet school and the ensuing drama are detracting attention. “It’s not a football game,” Veneklasen said. Disclosure: Texas A&M University and Texas Tech University have been financial supporters of The Texas Tribune, a nonprofit, nonpartisan news organization that is funded in part by donations from members, foundations and corporate sponsors. Financial supporters play no role in the Tribune's journalism. Find a complete list of them here. Texas Tech plans for new veterinary school now "on pause"